A boy stands by a church destroyed by Hurricane Matthew in Saint-Louis-Sud in southwest Haiti. The post-hurricane news out of Haiti took a more tragic turn Thursday – as the government announced a death toll far higher than expected. As communication is regained with Haiti’s southwest, the awful reality is more apparent. After Hurricane Matthew tore through Haiti’s rural southern peninsula on Tuesday, the country initially reported five fatalities. But that was largely because transportation to the hardest hit areas was cut off by a major bridge wash-out. Ed Lozamo hosts a morning radio program in Haiti’s capital, Port-au-Prince. “A lot of places they haven’t reached yet, and so I’m sure under the rubble you’re going to find people who tried to ride it out and didn’t make it," says Ed Lozamo, who hosts a morning radio program, "Ed Loz Live," on Radio 1. Update: Indeed, Thursday evening the government more than doubled that toll to 283. 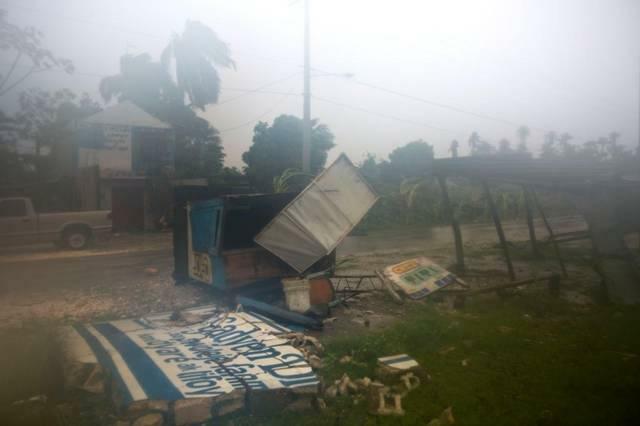 A big question is whether Haitians in the remote southwestern pockets had ample warning about Matthew and adequate places to seek safety. Lozamo says they may not have had enough advance notice of the hurricane to evacuate – but many would not have left anyway. Lozamo also works with a Haitian relief organization called the Man Dodo Humanitarian Foundation. He says the good news is that the government has finally reconnected Port-au-Prince to the southwest peninsula and can get supplies in. The government - which has had to postpone Sunday's presidential election because of the storm emergency - also made it clear it does not want to be as dependent on international relief as it was after Haiti’s massive 2010 earthquake. But it will certainly need foreign donors and relief groups to deliver aid – and help rebuild. Christy Delafied, a spokesperson in Haiti for the Oregon-based non-profit Mercy Corps, suggests her organization is sensitive to Haiti’s concerns about NGOs. The U.S. military’s Southern Command, based in Miami, is also deploying ships, helicopters, soldiers and sailors to southern Haiti. The mission is called Joint Task Force Matthew. The Man Dodo Humanitarian Foundation is collecting relief supply donations for Haiti at 3333 NW 168th St in Miami Gardens, 305-628-3421. Its website is www.mandodo.org. Hurricane Matthew is making its way through the Caribbean packing Category-4 winds of more than 150 miles per hour and dropping up to 40 inches of rain. 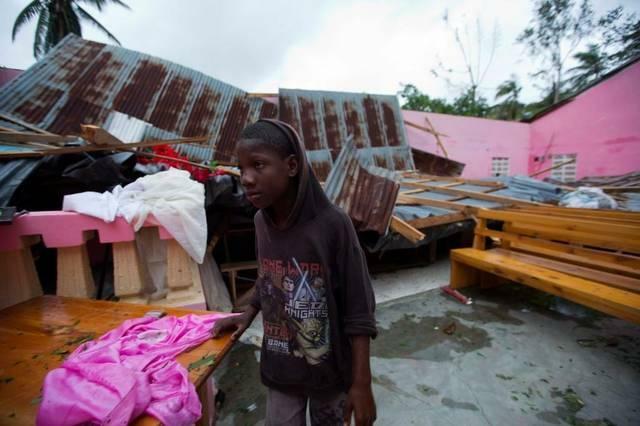 Haiti is in its path - and.that’s the country that can least absorb the damage. Post-Hurricane News From Haiti Is Bad - But Maybe Not As Bad As Feared? The news from Haiti in the wake of Hurricane Matthew is certainly bad – especially on Haiti’s southwest peninsula. But it's perhaps not all as bad as it could have been for the rest of the western hemisphere's poorest country. 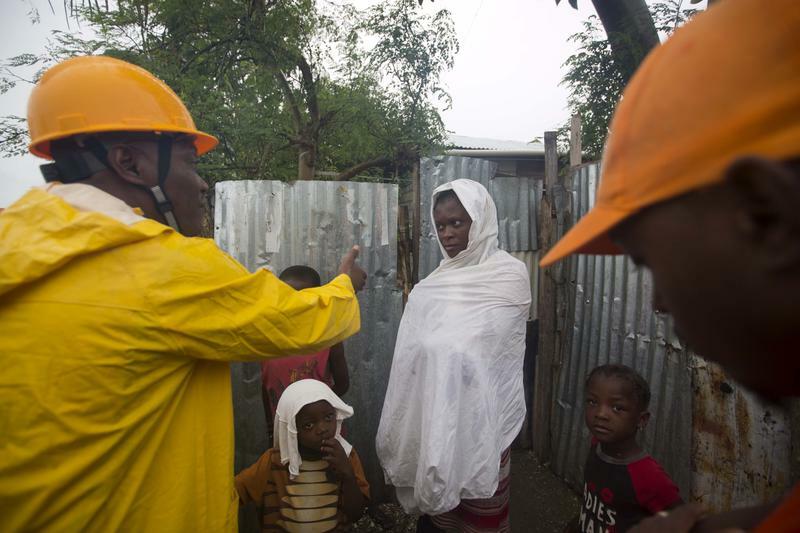 Matthew pounded southwest Haiti on Tuesday with winds of 145 miles per hour and more than 20 inches of rain. 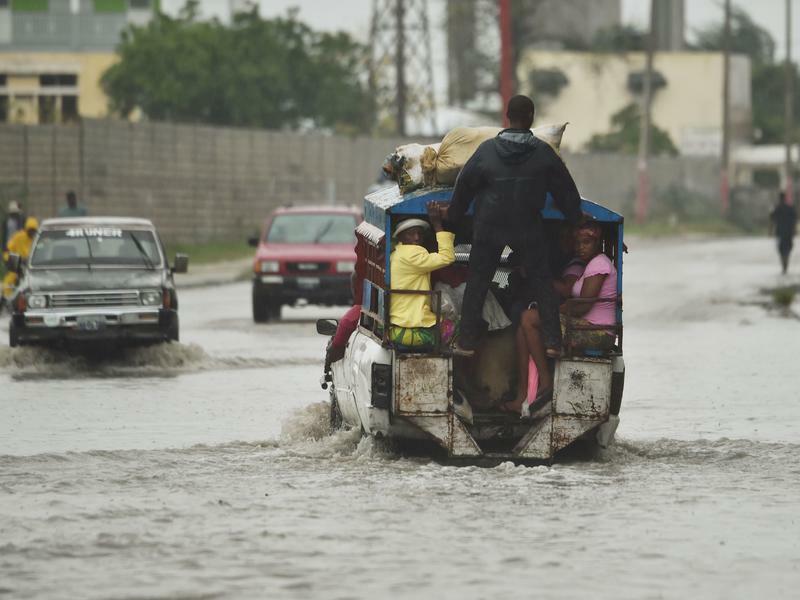 At least five deaths have been reported there - and low-lying cities like Les Cayes suffered catastrophic flooding that’s forced 15,000 people from their homes.